The news here isn’t that Jeremy Roenick found a microphone, but what he said. Roenick has always been known for being “well spoken,” and on Sunday he made his first appearance as a featured guest on NBC’s NHL Game of the Week coverage between periods. When the crew broke down the USA Olympic roster, Roenick said young Blackhawks star Patrick Kane is the best American born player since Mike Modano. Thanks, JR. No pressure there. But Roenick’s compliments to his former team apparently ended when the cameras turned off on Sunday. 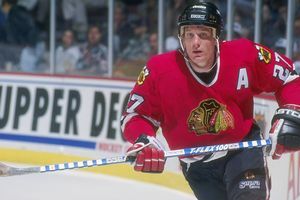 Wednesday morning, Roenick appeared on ESPN 1000’s “Waddle and Silvy” show and had some choice words regarding the current Blackhawks chances in the playoffs this year. After allowing four goals to Ottawa on Tuesday night, Cristobal Huet ended up between Roenicks’ crosshairs. 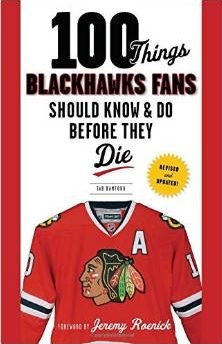 The more time Roenick spends in front of a microphone with his former team in first place, the more questions he’ll have to answer about these Blackhawks. Given Roenick’s track record for saying any, and everything, the next few months could be a lot of fun. A great team can win it all with an average goalie…two questions, are the Hawks a great team and is Huet average. 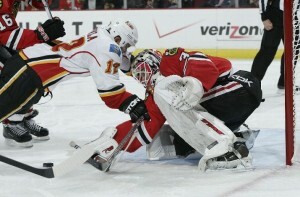 I think its time we see what Niemi can do in tough back to back games. You asked, Q answered. Niemi’s starting in Calgary Thursday night. I think Roenick has a valid point about Huet, but I also think he is underestimating Niemi. In my opinion, Niemi is the better of the two goalies.